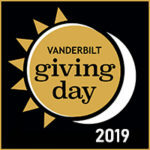 The Vanderbilt University Institute of Imaging Science (VUIIS) is a leading center for research and training in all aspects of biomedical imaging. The institute aims to exploit and integrate advances in engineering, physics, chemistry, computing and other basic sciences for the development and application of new and enhanced imaging techniques that may be used to address problems and stimulate new research directions in biology and medicine. A transinstitutional initiative within Vanderbilt University, VUIIS serves physicians, scientists, students and corporate affiliates. As a graduate student in the United Kingdom in the 1970s, I worked with some of the earliest ultrasound imaging systems and had the good fortune to attend a conference titled "Medical Images: Formation, Perception, and Measurement." It was then that I understood imaging science could be a coherent discipline within medicine. There were powerful new modalities such as MRI and PET on the horizon and this field would depend heavily on engineers, physicists and chemists to exploit new technologies to provide information to clinicians and biologists. The Institute of Imaging Science is a unique embodiment of how multidisciplinary efforts working together can impact medicine in major fashion as new imaging techniques are applied to some of our most important problems and questions: How does the brain work? What kind of cancer treatment should be used? What is the cause of diabetes? As a nerdy kid, I loved building things and optimizing their design, so engineering was a natural fit for me. In college I had an industrial internship working on radar imaging for military applications. I enjoyed imaging, but decided I wanted to work on something medical. Ten years later, my work now focuses on developing new MRI techniques and hardware. One focus of my lab is ultra-high field strength MRI such as Vanderbilt's 7 Tesla human scanner. This holds huge promise for just about every application of MRI, but is mostly used in research due to the many engineering problems that must be addressed to obtain consistent diagnostic image quality and ensure patient safety. Another focus of my lab is MRI-guided, focused ultrasound for noninvasive surgery, which enables doctors to precisely destroy tumors deep inside the body of a patient. Most of our basic understanding of brain structure and function comes from microscopic analysis of brain tissue specimens and invasive studies of the brain in action. However, recent innovations in MRI provide a new window on brain structure and function, allowing noninvasive measurements in both children and adults. For example, our lab has used functional MRI to map neuronal activity in children with learning disabilities to identify specific regions that limit math skills. In other studies, we have mapped activity related to hallucinations and cognitive problems in schizophrenia. Our recent research focuses on improving MRI measurements of brain connectivity. We have developed new methods to relate imaging data to fiber properties, and we are using these to understand changes in the brain associated with developmental disabilities and psychiatric diseases. Magnetic resonance images can visualize the inside of our bodies, but what really interests me is what is not apparent to even the well-trained eye. I can see the inside of your brain, but can I also measure the progression of a disease? I can see your bones, but can I tell if they are at risk of fracture? I can see your muscle is injured, but can I tell if it's healing? The magnetic resonance signals from your body convey an abundance of information about tissue micro-anatomy, physiology and function, but figuring out what it all means is a challenge! I have wanted to be an engineer for as long as I can remember, but I didn't become interested in biological problems until I dissected a worm in seventh grade science. 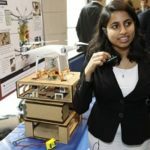 My interest in biology grew from there, and the place where my interests in "traditional" engineering and life science exist without conflict is biomedical engineering. For me, biomedical engineering is a great place to sit because I can straddle so many disciplines. I can brainstorm with a clinician in the morning and a mathematician in the afternoon. In my lab, I focus on ultrasound for many reasons, but what keeps me hooked is the ease with which I can apply fundamental principles of physics and mathematics to develop new algorithms and imaging sequences and then within a short time perform clinical evaluations. Broadly, my lab pursues new ultrasonic solutions to unmet clinical needs and algorithmic strategies for ultrasound systems that offer high image quality at a low cost to underserved people around the world.